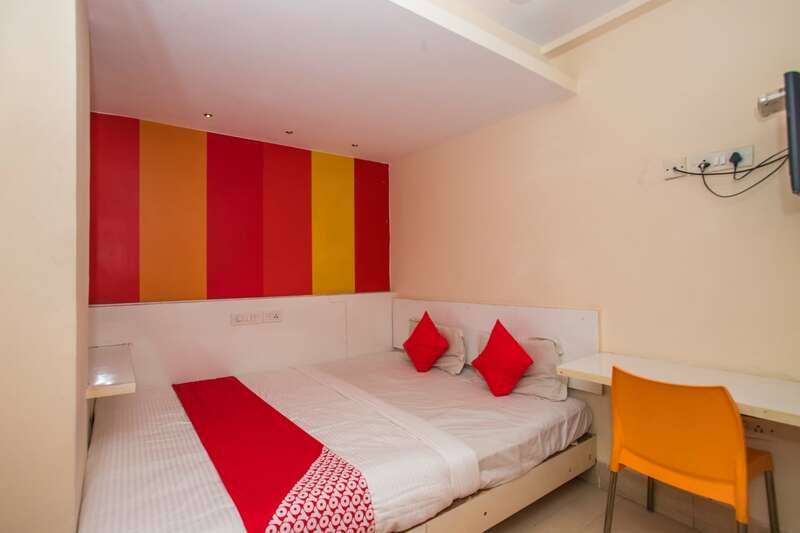 Bhagini Residency is vibrant, modern, and pocket-friendly accommodation for various travellers in Bangalore. The classic and bright rooms in the hotel are pleasing and match with the upholstery. The wooden furnishings with pastel linens give a vibrant touch to the overall minimalistic room decor. The window makes way for sunlight, brightening up the room. A well-furnished dining area is also available at the property for the guests to catch up with each other and enjoy sumptuous food items. Various facilities such as free WiFi access, CCTV cameras, card payment and power backup are available for the convenience of the guests.